Highly Recommended! 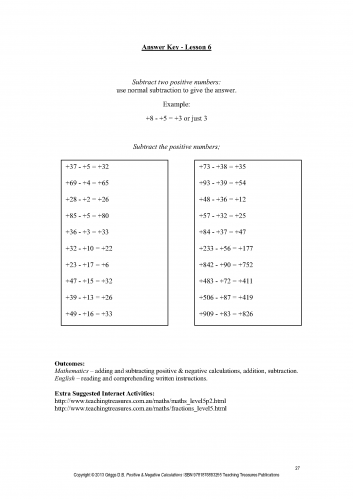 Learn about positive and negative numbers. Worksheets are followed by review lessons to re-enforce what was previously learned. Examples and explanatory notes provided. No previous knowledge of positive and negative calculations required. 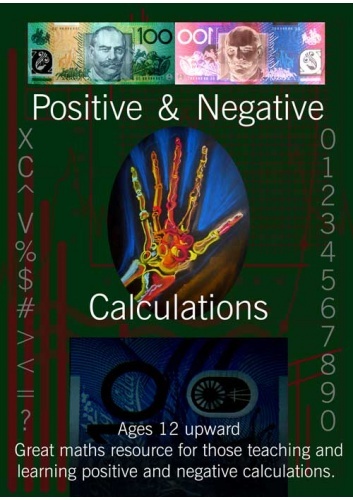 Not many students can get their head around positive and negative calculations and that's the reason why this little book will help you out enormously. No need to panic any longer, simply dig up this little gem and students will enjoy learning something that seemed so difficult with ease. Teaching Treasures Publications was established in 2000. Ingrid Griggs is our main resource writer and author of our workbooks, ebooks, ecourses, and worksheets. Please use our online Contact Us form below. We will respond as soon as possible to your inquiry.
" Thank you for an awesome resource I needed for my year 2 class. I didn't have time to create it myself on Sunday night. You're a life-saver!" " Without a doubt the best worksheets I've used so far... absolutely perfect." " Will definitely come back for more worksheets, value for money. Thank you for your service." " Wow! Easy and fast. 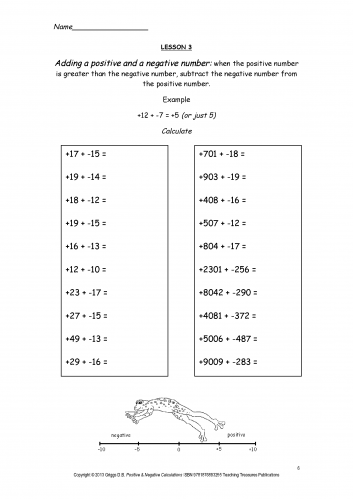 Very refreshing to find something different..."
" Kids love the worksheets. Been doing homeschool for 3 years now and it's nice to use your materials."